These letters were written by Lawrence Johnson (1845-1893) of Co. A, 9th New York Heavy Artillery. ¹ The unit was organized originally as the 138th New York Infantry in September 1862 but once in Washington D. C., they were re-designated the 9th New York Heavy Artillery and assigned to the defense of the city. In May 1864, the 9th NY Heavy Artillery participated on the Overland Campaign (Cold Harbor, Bethesda Church, Siege of Petersburg, etc) but apparently Lawrence did not make the journey with them. We learn from his letters that sickness brought on by “the hardships of a private’s life” prevented his participation in the campaign. Lawrence was the son of Thomas Johnson (1814-1890) and Anceanda Bassett Craw (1818-1892) of South Butler, Wayne County, New York. After the war, Lawrence studied medicine and received his degree from Bellevue Hospital Medical College in 1868. He set up practice in New York City where he married Sarah Adelaide Roe (1846-1893) in September 1872. 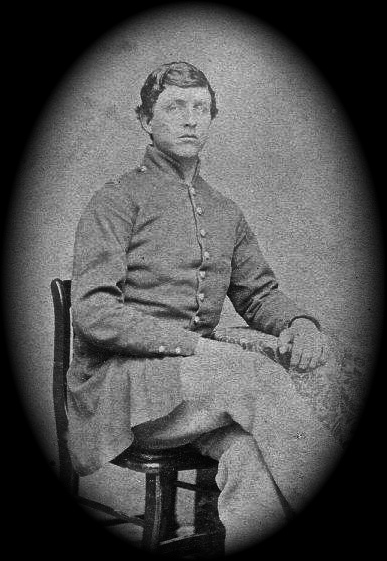 Lawrence’s older brother, Morris Johnson (1841-1912), also served in the same unit. He was one of about 600 Union soldiers taken prisoner at the Battle of Monocacy on 9 July 1864. The prisoners were marched 200 miles to Staunton, Virginia, where they were loaded onto stock cars and taken to Lynchburg and confined two nights in a tobacco warehouse on the corner of 12th and Polk Streets. They were then taken by train to Danville, Virginia, and confined in “No. 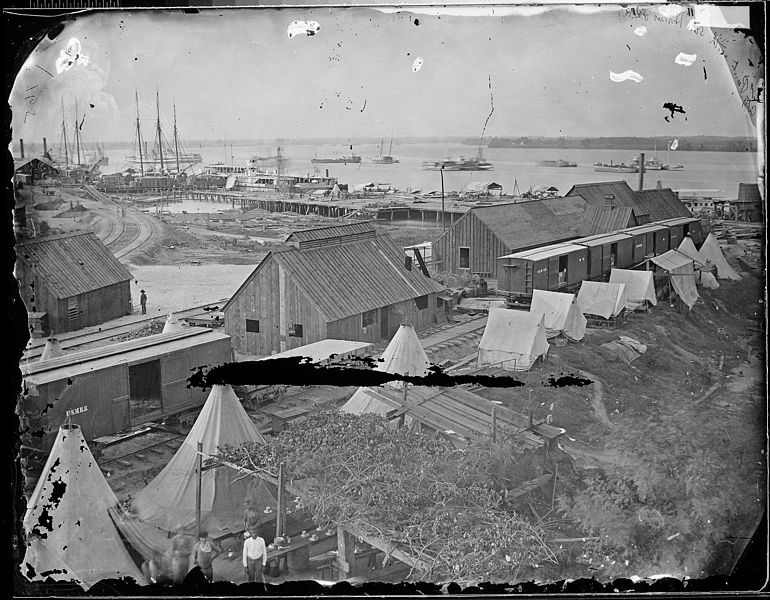 1” — a three-story former tobacco warehouse — with other enlisted men where most of them remained for up to eight months. Your letter was received yesterday morning, and gladly too. Not only very happy to learn of your welfare at the old homestead, but also to receive the “Greenback” of which I was just getting in need. Well, after arising from a hearty supper of bread, butter, molasses, and tea, I intend to tell you of my welfare and progress in military studies. It is one week ago today I commenced to attend the Free Military School. My progress thus far has been quite rapid. I shall enter the “School of the Battalion” tomorrow having learned company movements quite thoroughly already, for you must know I had studied considerable before I was taken sick. I intend to be sure and study hard for five or six weeks, perhaps, in which time I hope to earn a position worthy of myself — or rather of my exertions, for I consider the position of a private worthy of any man on earth when he takes a stand for human liberty and right. I shall have to pass a very strict examination, from the fact that a commander of Colored Troops must understand his business. If he is at fault, at any time, he cannot fall back upon an intelligent sergeant or private to help him for he is not supposed to have any such. We have young men here in school now who could drill a company, or even a battalion, much better than three-fourths of the captains in the 9th Artillery, yet I presume they will not get anything higher than second lieutenant in the Colored Service. So you will perceive that I shall consider it quite a compliment to my military knowledge if I pass the board at Washington for any commission — even the lowest. Our order of exercise is as follows: from 9 till 10½ o’clock we have recitations in Tactics, Arithmetic, Geography, and History, then march to our drill ground, sometimes more than a mile away, and drill till 12½ o’clock. I need not tell you that we produce something of a sensation marching through this great city with our colors flying and plainly indicating the cause in which we are engaged. The school is composed of very intelligent young men from almost all Northern states, young men too who have carefully considered what they are doing. At 2 o’clock we again assemble for recitation, remaining until 4, when we are dismissed. The roll is called four times per day, and any one who may be absent two roll calls in one week without good reason is dismissed from the school. Hence, you see what are taught discipline as well as other things important to the soldier. A word of my expenses and I will close. They will not probably vary much from $3.00 per week till I get through, dinner and other things included. This will not be very great considering the business. I hope to gain it all back soon. Please to hold yourself in readiness to forward any amount from ten to fifty dollars to me when ever I may chance to call for it. If you hear from Morris at any time, write me immediately. By and by we will all meet around the old hearth or a new one in heaven which Mary is cherishing till we come. P. S. Since writing the above, I have met with five or six wounded men from Co. A of the 9th [New York Heavy Artillery] who are here. They were wounded upon the 2nd [of June] at Cold Harbor. ² Our regiment suffered severely but fought nobly. A great number were killed and wounded but when these men left, Morris, [Alfred Seelye] Roe, & [H. Hill] Wheeler were safe. God grant they may be so now! Lt. [Rufus M.] Campbell lost one finger. Our 1st Sergeant & his brother were both killed. A young [John R.] Blakely of Wolcott — one of those who used to conduct the school there — was killed instantly. He was a very worthy young man and one I thought a great deal of. Our quiet captain [James W. Snyder] fought like a tiger. In this letter, Lawrence informs his family that he is about to take an examination that will qualify him for a commission as an officer of Colored Troops. Enclosed please find a letter to me from your soldier boy. I received it this morning and knowing it would be of interest to you, send it. I have as yet received no reply to my earnest enquiries of your opinion concerning my action in going into the “Colored Service.” I am sorry that I have not, for I wished to know your feelings before taking the final steps. It is, however, too late now as I intend to start for Washington tomorrow, having finished the course of study here. My health and strength seem to have entirely returned and as soon as I have passed my examination, I shall consider myself ready for the performance of any duty which my commander shall place upon me. I shall probably not remain at Washington too much more than a week. This week will probably decide for me my situation for the next three years. Again, I say if I am doing wrong, I do most earnestly hope to be forgiven by those whom I injure. If your reply had come and you advised me against this movement, I might have stopped but ’tis too late now since I have my order from the War Dept. to appear before Gen’l. Casey. I do hope and expect that I may yet be of some service to my country in the sphere which I have chosen. I do hope that I may see some service to make me equal in suffering, equaling sacrifice to those who have been blessed with health while I have been confined to the narrow limits of a hospital during a long and tedious sickness, and a longer time still spent in gaining lost strength. I shall return to this hospital as soon examined and I do most sincerely hope to have a letter from my Middleville friends whine I arrive. Yours truly, — Lawrence Johnson, Ward K, Bed 59. This morning paper reports our Regiment in Maryland having a fight last Saturday [Battle of Monacacy] in which Col. [William H.] Seward was wounded ¹ and Lt. Col. [Edward P.] Taft killed.² How true it is I do not know. There is great excitement here and greater yet in Baltimore. I don’t know whether it will be safe for me to pass through the latter place today yet. I mean to try it. I shall start at 2:30 this P.M.
¹ William Henry Seward, Jr. was the youngest son of Secretary Seward. Seward was promoted to colonel of the 9th New York Heavy Artillery Regiment on 10 June 1864. A few weeks after Seward’s promotion to colonel, his regiment was sent north to meet the threat to Washington, D.C. posed by Confederate Lieutenant General Jubal Early’s Valley Campaigns of 1864. 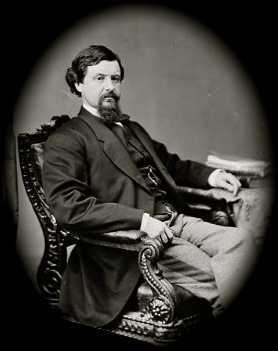 Seward was slightly wounded in his arm and suffered a broken leg when his horse fell on him after the horse was shot at the Battle of Monocacy on July 9, 1864. ² Lieut.-Col. Edward P. Taft was wounded and taken prisoner, but not killed. In this letter, written from Satterlee Hospital in Philadelphia, Lawrence tells his friends something about the methodology of distributing patients at the hospital and the state of religion in his ward. We learn that Ward K was initially used to treat patients suffering from syphilis and other sexually transmitted diseases though it gradually came to house patients with other diseases and battle injuries. 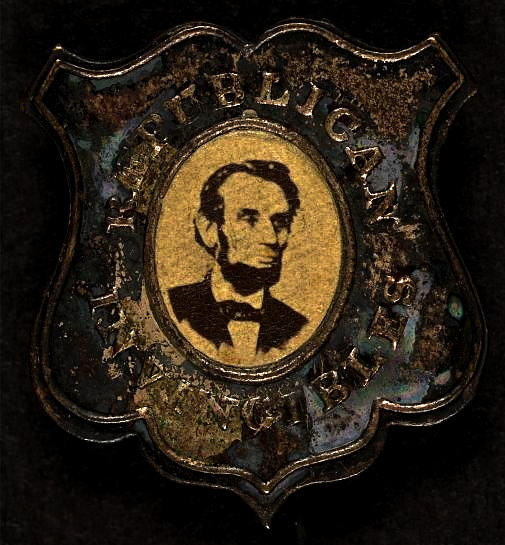 He concludes by describing a Union torchlight parade in Philadelphia that took place in the city on Saturday evening, 8 October 1864. You have the privilege of attending church this Sabbath morning but I cannot so so until this afternoon, so I will consume a little time in replying to Mrs. Roe’s very welcome letter. I don’t know of a better time to write friendly letters than on Sunday, nor one more proper and fitting, because I consider the cultivation of friendship to be next to religion, if not a part of it. Surely it is my experience that the thoughts of home, enlivened by tender and affectionate letters from my friends compel me to a state of feeling toward those around, second only in kindness and good will, to the emotions produced by serious contemplation of kindness and mercy of God. Your wishing to hear of my Christian experiences here in hospital, previous to my visiting you, strangely moved me. I know not hardly what to say but must confess if you had asked me to relate then, I should have been troubled. You, I am afraid, would have thought that I was very remiss in my duty; but now I will explain to you, as well as I can, the circumstances and my own course of action. In the first place, perhaps it would be well to state that when patients arrive here, their diseases are classed as far as possible, as also are their wounds — those having the fever being placed in one ward, another general disease in another, those wounded in the limbs by themselves, &c. This, I repeat, is done as far as possible, but not always for the fever ward may be too full to admit of any more, in which case the patient is placed is some other ward having empty beds. This was the case when I arrived and consequently I was placed in a far different ward from what my ailment called for. It fell to my lot to occupy a bed in Ward K — a place devoted to diseases caused by debauchery, dissipation, and unrestrained, low, animal passions. Two of us were sent here that day who properly belonged elsewhere. Well, now, this class of men of whom I speak must necessarily be debased and degraded, looking as they do upon virtue as less than a name and having no faith in God nor woman, the sister of their mother. They are nearly beyond redemption — for far gone, at least, that some mighty power, some great influence must be exerted over them to lead them back to God. A Wesley, perhaps, might move them, but what could I do save to speak out boldly in the causes of virtue when I might have a chance? Nothing. If I were to speak of religion, as I often did, I found no one ready to raise his voice with me. They disbelieved the bible and I think it a hard matter to argue with a scoffer. Though they considered me a moral purist, they would scoff at the principles of my morality. What could I do under these circumstances better than try to keep myself in the narrow way? I could breath a prayer in their behalf, but otherwise could do nothing. Thus passed the summer till I visited you. But while on furlough, a change took place. The ward was filled to the utmost with the honorably sick and wounded. Here then was a place to work. Here were men open to conviction. Here were men who believed that a Father’s hand had protected them in din of battle. Such a sight pleased me for now I thought I could show my colors to some advantage. And I have tried to do it. If you think I have been sadly deficient in well doing, you must consider that I am but an unworthy servant of my Master, that I am still young in the grace of God, and that the temptations with which I am surrounded are not small nor few in number. I know I have not yet sufficient faith but I am praying for more. I trust that my prayers may be answered. I felt that I ought to make these remarks when with you but for some reason deferred it. You now understand what I have been and am now doing. 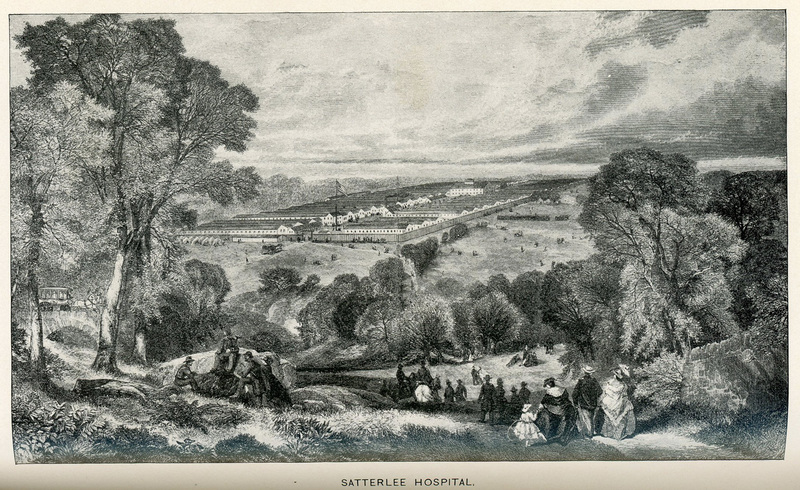 In this letter, written from Satterlee Hospital in Philadelphia, Lawrence begs his father to intercede on his behalf with their congressman who might help him obtain the commission he sought as a 1st Lieutenant in the U.S. Colored Service. 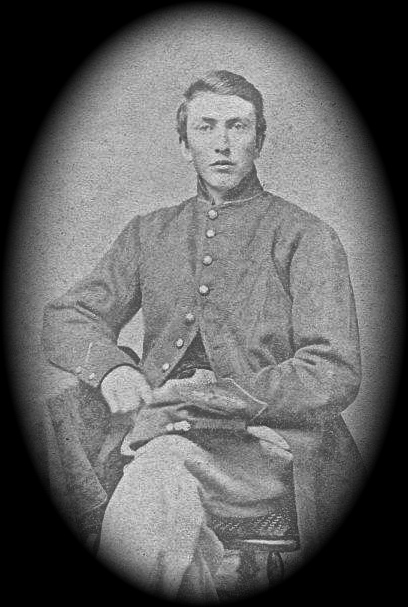 Late in 1864, he was finally commissioned a 1st Lieutenant in Co. C, 8th U.S. Colored Heavy Artillery at Paducah, Kentucky and later served on the Potomac. Lawrence indicates in this letter that he is aware of his brother’s capture and imprisonment in a Confederate Prison. I am getting very tired of doing nothing now that I am perfectly well and in every way fit for active service somewhere. My commission doesn’t come and my Surgeon intends to keep here until it does so you see I am in trouble. I have almost given up hopes of being commissioned unless it be through the means of your influential friends. Hence, I now write that you may set the political wheels moving. I have waited very long before doing it for I vainly thought a private soldier might be able to obtain justice from our high officials without the use of such extreme means. I made oath, upon entering the service, to serve my country faithfully against all enemies whatsoever, to obey all officers placed over me, &c. and I think I have a right to expect the Government will do as it agrees with me — but it has not. They promised me such a position as I passed examination for successfully. I passed for a 1st Lieutenant. They told you I should have the place in six or eight weeks. I have already waited fourteen and yet hear nothing from it; though I have positive evidence that persons passing for the same position six weeks after the date of my examination have been commissioned and assigned. You know this is unfair, unjust, and dishonorable. In view of these circumstances, I wish you to go to Hon. T. M. Pomeroy and lay the facts before him. Tell him that I fitted myself for the position entirely at my own expense, using my time in which I was unfit for duty — not robbing the government of one dollar nor an hour of time. You might tell him under what circumstances I enlisted, what bright prospects I left, determined as I was to do all in my power for my suffering and afflicted country; how I was stricken with sickness at the beginning of the summer campaign; of my inability (apparently) to bear all the hardships of a private’s life, &c. &c. &c. That you have one son in a rebel prison. You will of course know how to manage the case much more skillfully than I, but I thought ‘twould do no harm for me to throw in these few suggestions which you can accept or not as you judge best. I will also send my “certificate of examination and recommendation” which you can show to him during your interview. Be careful of this document and in no case let it be destroyed as I may yet wish it. And now let me ask you to do what may be done quickly — immediately upon the receipt of this, if possible, go and see him; do not trust it to a letter, you can do it so much better with a living voice. Then, if he chooses to resist, tell him to address any communication upon the subject to Col. C. W. Foster, Chief of Bureau for Colored Troops, stating that I am a member of the 9th New York Heavy Artillery now at Satterlee Hospital, West Philadelphia. This last that the papers may come directly to me without going to the regiment. Be particular upon these last points. Again I say let what can be done be done quickly, as I do not know how soon I may be ordered away. Again be secret concerning the matter. I am quite well and fleshing up very rapidly. My love to all. This letter was written from Paducah, Kentucky, after Lawrence was commissioned a Second Lieutenant in Co. C, 8th U.S. Colored Artillery. I was very happy this forenoon at receiving your letter of the 12th inst. and hasten to reply. However, the bad effect of the news which Morris communicated in his short note accompanying yours has well nigh destroyed the happiness. You know, dear mother, that your boy is not profane, if he had a great many bad traits of character, and you know I did not profane when I heard that my father had entered into a contract to part with the home of my childhood, to leave me — one of his soldier boys — no place to call by that most cherished of all names, excepting yours, my home. Ever since I left you, I have been wishing for, and dreaming of the happy time when I might again trod the same paths I used to creep in infancy; but now all these happy anticipations are cut short by the sickening news that my father has agreed to move from that home. And when I again meet the dear ones who used to cluster around our old fireside, I must meet them in a strange house upon strange ground. I must return from war to find everything changed, my friends gone, and even my home in other hands. But it’s no use for me to complain. ‘Tis too late to grumble. I wrote to my father on the subject some time ago. I have often spoken of it when at home, but what good has been accomplished! He has passed your objection and mine and those of every child by without notice. Though I would not complain of my father’s administration of his own affairs, I can but consider him at least, very unkind in such movements. It would have looked much better to me had he but considered your feelings upon the subject, considered your attachment to the house where our Mary — gentle, lovely & kind — grew for the Savior and dying went to him. But the more I write, the worse I feel upon the subject and I must forbear. My father will call me ungrateful and everything but a parent-honoring son, but I cannot help it. These thoughts are in my heart and must come home to him. I should have written this to him personally but he did not even deign to heed my entreaties upon a subject so near to me and would not I know bear with these words. I am glad you sent your photograph. It will do me good. I now have all but Pa’s and Della’s. Shan’t I get them too before long? I also received Mrs. Fish’s photograph today and am very proud of my two mothers for as such both of you signed your letters. Mrs. Fish has lost her only son since I was home. He went from Fulton last Fall, was wounded and died. Her mother is also dead and she is alone. The motherly being longs for me to come back, I presume, nearly half as much as you, or as I do myself. I am in the very best of health and sprits these days and hope to continue so. We have a tolerable shanty and get along quite comfortably except when it rains and even them I don’t believe there is much more water falling inside our house than on the same number of square feet outdoors. I get good board for $5.00 per week with Lieut. Helstrom’s family. Several of us officers board at this place and are almost as happy as if we were at our own snug homes. So you need have no fears for me, as I am doing so well: only feel a wholesome longing for the time which shall throw us together again, as I am always, night and day, doing. If I am taken sick again, which I sincerely hope will not be the case, I am settled in for the determination to resign, for I can never stand the chronic diarrhea in this climate long. Emma Plodgett is teaching school in New York and, she write me, doing finely. She says Barstow is at the same old place in Louisiana and doing well. About the war’s closing, I know, nor dare presume, nothing. We have no eastern papers of any account, all arriving here too late to be of any account. Yesterday a salute of (100) hundred guns was fired in honor of Washington’s birthday, partly on account of Charleston’s reported capture — the authorities being determined to hit two birds with one stone, if possible, one whether or no. I sincerely hope Alf. Roe will soon be exchanged. I see there is talk of a universal exchange being made and I hope ’twill amount to something. There are some vague rumors to the effect that we are to be moved from here; perhaps to Savannah, Ga., but nothing reliable in known. I hope a change of base of some kind is really in store for us as I am becoming sick of garrison duty. 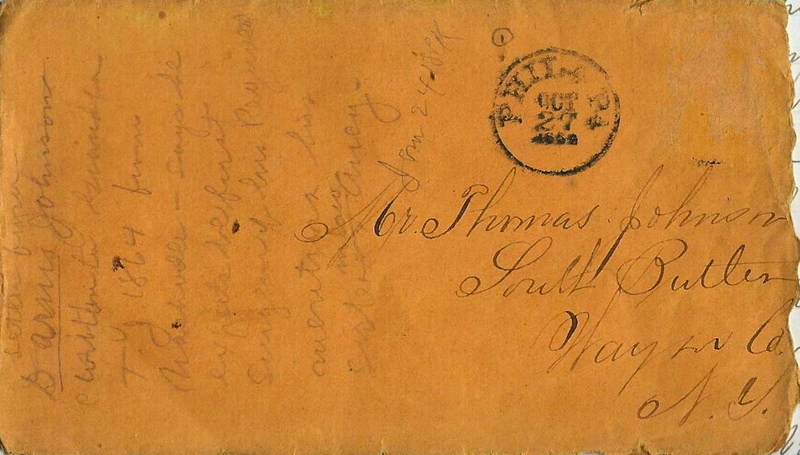 Lawrence indicates in this letter to his father written from an encampment on the James River near City Point, Virginia, that he is in need of money, being owed several months backpay as a lieutenant in the 8th U.S. Colored Artillery. He asks his father if he knows where his brother Morris is following his release from Confederate prison and also says that he is proud to have served under the old flag. ‘Tis now more than a month since I heard one single word from home. Still I will continue my writing hoping for some return by and by. As I have written before, we arrived here one week ago and encamped in town. We remained in that camp until this morning when we broke in for the purpose of finding a place freer from dust and, in fact, better in every way. About noon we stopped on a plat of ground about ½ mile from the wharf, high, level, and grassy, and here we are now encamped. My quarters consist of an “A” tent about six feet square on the ground. My bed will be, as it has been for some time, on the ground. I neglected to say that we are now encamped on the south bank of the James River whereas we were before situated near the south bank of the Appomatox. City Point, as you already know, is situated on the point of land formed by the confluence of these two streams. The land is almost level, quite sandy, and was once covered with pine forests. On Sunday, [2d Lt. H.] Hill Wheeler came into my tent while I sat writing. I assure you that it was a happy meeting; it being the first time I had heard of his whereabouts since early in march. He is about recovered and intends to rejoin his regiment [9th N.Y.H.A.] at Berksville day after tomorrow. He looks just the same as when we enlisted and has, I think, borne army life first rate. I haven’t the slightest idea of Morris’ whereabouts — not knowing whether he has yet rejoined his regiment or not. I understand that Alf[red Sellye] Roe has gone back: do you know anything of it? If Morris is yet in hospital, I suppose he will be discharged very soon by virtue of a recent order discharging all patients in hospitals and parole camps not requiring further medical attendance. I sincerely hope he may yet get home with you again pretty soon. We were mustered for pay again on Sunday last, and now, as you must know, the government owes me for 5 months and 22 days service at the rate of from $118.50 to about $147.00 per month; and yet I don’t expect any money for a time yet. I should think we might be paid were it not for the present hurry and flurry about discharging so much of the army which will have to be paid, of course. Now I have stood it for some time without money; my pocket has for some time held only three or four postage stamps, but I’m about running ashore. I owe some and it ought to be paid. In fact, my father, I need money very badly indeed. I can live on a soldier’s ration, and most of the time can draw from the commissary on credit; but quite frequently I have to borrow from the boys or go without eating. Can you help me in this strait? I want just $50.00 to last till I can get pay from the government, and make everything sure. If you can not possibly get it for me, why I must go without. But if you can loan me this sum or borrow it for me, and send the same in greenbacks by Express (Adams & Co.) to 1st Lieut. Lawrence Johnson, 8th U. S. C. A., City Point, Virginia, why you will do your boy the greatest favor possible. I know I have borrowed on your credit before and yet owe you for the same, but I cannot, nevertheless, resist the inclination to tell you my needy circumstances and ask for your assistance. I am laboring to sustain my country and I know you are willing to sustain your boy in such efforts. If you can send that money, please send it immediately upon the receipt of this, taking a receipt from the agent for the same and keeping it till you hear from me to know that I have received the money. Send at the same time a letter to know the money was forwarded. My love to all loyal friends. My curse on others.